The first time I drove a Ferrari, I experienced something I never had before–it’s almost indescribable. The smell of the fine leather, the feeling of being so close to the ground, the whirring of the engine…ahh the engine. I remember the exhilarating yet strange sensation of hearing–no, feeling the engine…but it was behind me. It was unlike anything I had ever felt, and while my love for Ferraris came long before that moment, if there was any doubt before, it was clear then, that I was a full-blown Ferrari-nut now. Mid-engine…Don’t you mean rear-engine? This is a common misconception about Ferrari engines that are behind the driver. 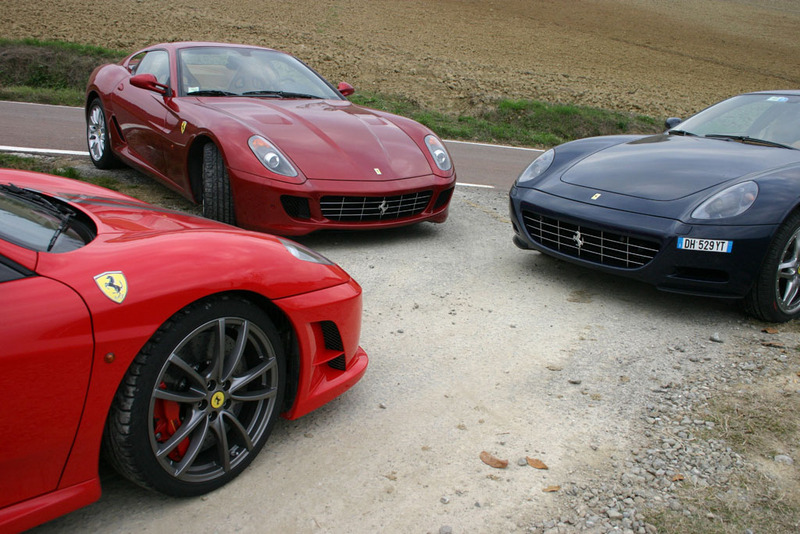 The good news is: Most Ferraris, if not all, sound incredible. Period. Front-engine, mid-engine, they are all beautiful, melodious, machines, so as far as deciding which I like better or prefer–that is difficult to say. There is something about having the engine right behind you, and hearing it right in your ear. The first Ferrari I ever drove was a preowned Ferrari F355, and in my opinion, there’s nothing that sounds as amazing as that–it’s loud, it’s in your ear, and it sounds like a Ferrari. So, perhaps I am a bit biased. However, a Ferrari California is an 8-cylinder engine that sits in the front, and I think it sounds incredible too. The only drawback about mid-engine Ferraris as far as I can tell is the restricted rear passenger space. Aside from the Ferrari Mondial (the only successful example of a mid-engined convertible with supercar performance and seating for four), almost all mid-engine Ferraris are two-seater sports cars…so if you’re looking for a spacious rear-seating area, I would opt for something like the Ferrari FF or Ferrari 612 Scaglietti, which offer a 2+2 seating arrangement.